I was keen to make sure I knew how to reliably transfer their current saved games to the new computer when it arrived. My current PC setup sees me dual booting between Windows 8 Professional 64-bit (on C:) and Windows 7 Professional 32-bit (on D:). The first partition is my main day-to-day setup for web development, email, writing, image editing, sound recording, etc. The second is simply known as “the games computer”: it has a very clean installation of Windows 7 with only the essential drivers installed plus a few games. I’ve yet to decide exactly how to configure my new PC, but I expect that I’ll drop the dual boot and simply run everything under Windows 8 Pro 64-bit. So over the last couple of days I’ve installed these three favourite games of the boys and trialled copying the saved games over. And I’m delighted to report that it worked. Back-up the files (as detailed below) on my Windows 7 installation. Install each game on my Windows 8 installation. Run the game, so that it could create new save locations. Back-up the default save location files. Overwrite the Windows 8 save location files with the ones I’d backed-up from Windows 7. 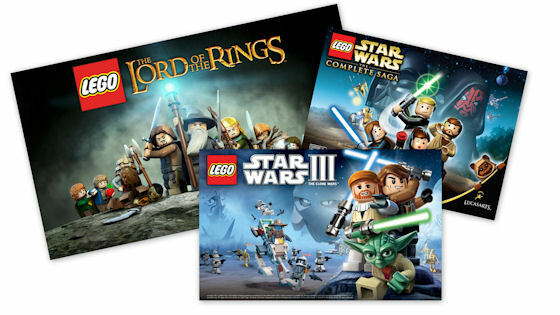 As far as I can tell the SaveGame0.LEGO Star Wars - The Complete Saga_SavedGame file stores the actual game progress: characters unlocked, canisters found, bonus levels accessed, etc; Mappings.dat stores any customisations made to keyboard and gamepad controls; and pcconfig.txt stores information such as screen resolution, graphics and sound customisations. I didn’t copy over the CachedShaders files, but I let the game build the cache again afresh. The other two files were the same as above: games controls plus video and sound configurations. Again, I didn’t copy over the CachedShaders files, but I let the game build the cache again afresh. The other two files were the same as above: games controls plus video and sound configurations. 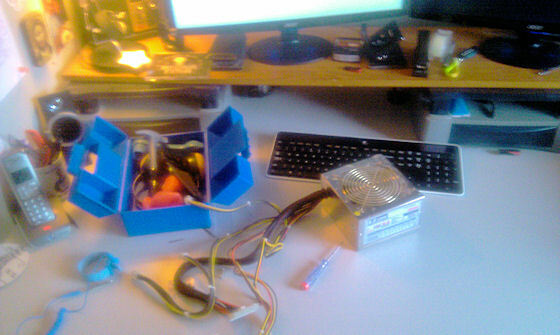 My old PSU sitting on my desk, post-operation, alongside Reuben’s toolkit. Early on Sunday morning I switch on my PC and nothing happened. Nothing. Not a sound. Not a spark. Nothing. All a bit worrying really given that I wanted to get some prayers off my hard drive for use in the 08:00 service that morning. I tried not to panic and think about it logically. What could the problem be? Okay, the power comes into the power supply unit which then feeds the motherboard and the various components (DVD, hard drives, graphics card, soundcard, USB devices, etc.) But the PSU is in standby mode until it’s supplied with a load which only happens when I push the on/off switch. There are my first two candidates: PSU and switch. And it it’s not them then I guess it could be the motherboard? I took a look at the switch. It looked and sounded fairly solid. I then hunted down another power cable and swapped that out. Maybe the fuse had gone, I reasoned. And remarkably, my PC started (after two or three failed attempts). That immediately ruled out a dodgy motherboard. It was looking more and more likely that the PSU was the source of the problem. So I searched online for the make and model of my then-current PSU: EZCOOL ATX-600JSP and was astonished to read a review on Amazon UK which described something very close to the problems that I had been experiencing for the last couple of years. 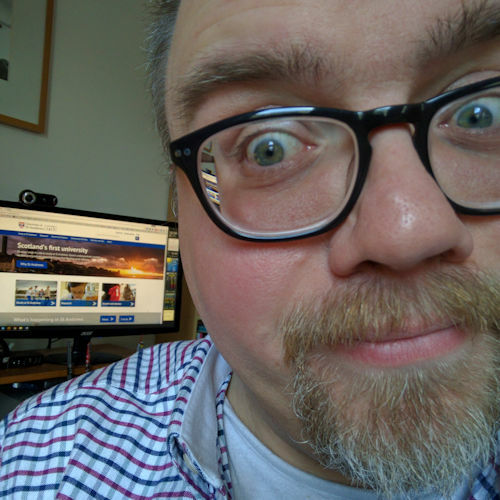 For the last couple of years I’ve had a intermittent issues whereby I’d switch on the PC and it would start only to switch itself off a few seconds into the boot sequence. I’d put it down to my not pressing the button hard enough, or even thinking that perhaps there was a problem with the button itself. For the love of all things holy, don’t buy this power supply. Hamsters on running wheels are a more reliable source of power than this. Fortunately, I didn’t buy this. I borrowed it from a friend as my old PSU was only 450W and couldn’t handle my new NVIDIA 8800 GTX graphics card. For about a month, everything was fine. Admittedly sometimes the computer wouldn’t turn on, but it did after pressing the button again and I attributed that to the case rather than the PSU. However, after this time of false happiness, I was using my computer one day and the power just died. I was surprised but assumed it was a power surge or something similar. Then after a while it would cut out as the computer was turning on or within the first few minutes of running. It was fairly annoying having to have two or three attempts to turn my computer on, and this happened more often than not. After getting used to this for another couple of weeks, the thing really started to die, a few days ago it turned itself off twenty times, accompanied by a worrying fizzing sound. I tried switching power cables but this made no difference whatsoever. Now it’s more useful as a doorstop and I look forward to destroying the damn thing. In the last few days I have bought and installed a new Corsair HX series PSU, which never turns off, drastically improved the performance of my computer and is actually silent, unlike this one which claims to be but is far from it. An added bonus is that the inside of my computer no longer looks like a jungle thanks to the modular cabling. The Corsair is highly recommended and is well worth the money, albeit a fairly large sum. Cheap things are cheap for a reason. Please save yourself the trouble. I ordered a new PSU, the Corsair GS800 80 Plus Bronze Certified Power Supply 2013 Edition which arrived this afternoon. Reuben helped me to fit it; what a sweetie! You can see from the photo above that he brought his own toolkit to my desk to help. Unplug everything from the back (and front) of my PC. Remove the two side covers. With anti-static wristband on, carefully remove the existing power connectors: the motherboard had two (24-pin and 4-pin), graphics card (6-pin), soundcard breakout box and floppy drive (small 4-pin), DVD drives (molex 4-pin), SATA hard drives (SATA connectors). Unscrew and remove the old PSU. Carefully attach the new cables. The Corsair website was useful in discovering that I had to split the new 8-pin connector marked “CPU” so that it could fit the 4-pin ATX 12V socket on the motherboard. Screw the PC sides back on. Switch on… and pray that it works. It did! My PC is now disconcertingly quiet. It starts up with a whirring flurry of noise before almost immediately dropping down to an almost inaudible whisper. So quiet was it the first couple of times that I thought my PC had switched itself off. I breathed a sigh of relief when I saw the screen flicker into life and I watched the power-on startup test (POST) begin. Next up, I want to upgrade the graphics card from an NVIDIA GeForce 8800 GT (still a remarkably capable graphics card) to something more powerful. I’ll be sure to report back.